In the late 1980’s Cindy helped develop the current PWDCA water trial test that is in use today. Since that time she has been a sanctioned judge by the PWDCA and has judged pwd water trials through out the country. Additionally, she serves on the PWDCA national water trial committee. 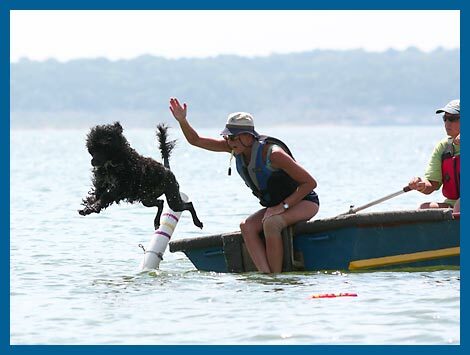 Cindy McCullough and Cindy Hyde have held a water camp for Portuguese water dogs on Memorial weekends since 1997. 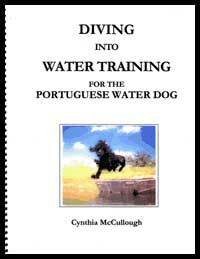 The camp is specifically designed to teach handlers how to train and prepare their pwds for water trials sanctioned by the Portuguese Water Dog Club of America (http://www.pwdca.org/activities/waterwork/). The camp is located in Columbus, TX about 85 miles West of Houston Texas. For more information email us at gone2doggone@yahoo.com.